You may have heard the National Teacher Leadership Conference hosted by NNSTOY and VOYA is sold out. There are more ways to engage in the conversations and work of the conference. In fact, those ways have already begun! Click on the "Ways to Engage" dropdown, even if you are not able to be with us face-to-face in Las Vegas. You can also join the wait list, which will put you in line in case we have some attrition or cancellations. The 2018 National Teacher Leadership Conference: Teaching Tomorrow's Leaders, hosted by the National Network of State Teachers of the Year (NNSTOY) and Voya will be unlike any other we have hosted or experienced. Educators from across the nation will unite to consider, discuss and make progress on four problems of practice selected for study by our members. 1. TEACHER LEADERSHIP: How can we build our leadership skills and create and support teacher leadership structures that benefit all students? 2. STUDENT ENGAGEMENT: How can we create more engaging learning environments so that all students are motivated to grow? 3. EDUCATIONAL EQUITY: How can we examine our own biases and provide equitable learning environments for all students? 4. SOCIAL & EMOTIONAL LEARNING: How can we equip all educators to teach fundamental social and emotional competencies as part of their regular instruction? For the latest news and updates, sign up for our mailing list. “Is Teacher Leadership Overly Romanticized?” in partnership with ASCD, with Patrice Dawkins-Jackson, Zach Wright, and Gary Abud, Jr.
“Putting the Magic in Student Engagement” with Michelle Pearson and Dyane Smokorowski. “Fostering Educational Equity through Actions, Attitudes, and Resources” with Jemelleh Coes and Monica Washington. “Emotional Health of Students and Teachers: EQ and IQ” with Casey Bethel and Dorina Sackman. “How can we improve our classroom management, increase engagement, and build relationship to fix disparate discipline practices?” with Kelisa Wing. On Sunday, July 8, Walden University will be hosting two panels on Facebook Live with Walden faculty and NNSTOY members: one on teacher leadership and one on educational equity. More details to come on our Teachers Leading Facebook page. There will be more Facebook Lives coming on our Teachers Leading Facebook page that are focused on the skills and ideas teachers need to improve student learning through leadership (using our Teachers Leading courses), so be sure to stay tuned! Follow #TeachersLeading on Twitter to join in conference happenings! We will be hosting a twitter chat on July 9 for the Day of Motivation and Inspiration, as well as a chat on July 11 capturing important ideas from the conference. There will also be live tweeters assigned to every presenter and session, so the #TeachersLeading hashtag will operate as your window to the conference. Attend the 2018 Online National Teacher Leadership Conference! This will be a day-long virtual conference that you can attend in real-time from the comfort of your own computer, with many of the speakers, presenters, and topics from the face-to-face conference. Hosted in partnership with TeachingPartners, there are more details coming soon (including registration information). Join us on July 8 from 9 am-12 pm as we volunteer at Project 150. Please sign up so that we are able to estimate transportation needs. There are over 14,598 homeless students in the Las Vegas Valley, over 3,347 of those are in high school. High school is tough enough without having to worry about where you are going to sleep at night. Project 150 was created out of our community’s desire to help these kids. Our mission is to offer support and services to these homeless, displaced and disadvantaged high school students so they have what they need to continue school and succeed in life. 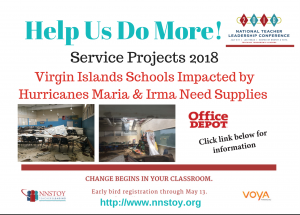 In addition to Project 150, we are partnering with schools in Las Vegas and St. Croix. Click on the text below to view school supply lists and ways to donate. You do not need to wait until July to start these service day options, donate today! Our partners want to you share your expertise, opinions, and experiences with them on the afternoon of July 8. Focus groups will be 60 minutes long, from 2-3 pm and 3:15-4:15 pm. You will be compensated for your time at the discretion of each organization. You will receive details on times and locations closer to the conference date. Participation is voluntary. Unfortunately the sign-up window for focus groups has closed. You will be notified via email of your focus group organization, time, and location. James will bring a message focused on developing radical imagination within educators. A concept that acknowledges the challenges of our social context, but utilizes education to disrupt and reach for new possibilities. James E. Ford is an award-winning educator and consultant on issues of equity in education. He is the Principal at Filling the Gap Educational Consultants, LLC. Most recently, he was the Program Director at the Public School Forum of North Carolina, an education think-tank and advocacy organization. Prior to this, he served as the 2014-15 North Carolina Teacher of the Year and the representative for 95,000 public school teachers throughout the state. Ford taught World History at Garinger High School in Charlotte, NC starting in 2010. Ford earned a bachelor of science in mass communication from Illinois State University in 2003 and a master’s degree in teaching from Rockford University in 2009. He is currently pursuing his PhD at UNC-Charlotte in Urban Education. What can schools do to minimize academic disengagement and maximize student motivation and well-being? The answers reveal themselves every day; we need to ask, listen, and respond. After nearly two decades teaching a variety of adolescents – those at risk of dropping out, kids struggling with social and learning challenges, and scholars gifted with exceptional intellect – Chris Holmes realized they all had one thing in common: an element of apathy preventing them from fully engaging in the learning process. In 2018, he launched a project to identify the roots of student apathy and to learn what schools could do to minimize it. His phenomenological research study – in-depth interviews with dozens of teenagers throughout the country – is shedding light on how to maximize student engagement, learning, and well-being. A journalism teacher by training, Holmes helped found a dropout prevention program at a large, suburban high school in St. Louis County. He left two years ago to help found the state’s first private, non-denominational high school for students with learning disabilities. Every June, Holmes moves to the University of Missouri campus to teach at a residential academy for gifted high school students. Working with defiant students can feel like a difficult run. Teachers can be the adults in students’ lives who will help them make it to the next mile marker. Communications Officer for the Utah State Teachers of the Year (UTSTOY) chapter. German student teaching programs. Allison recently completed a thesis at Weber State University on the self-efficacy of mentor teachers. for schools, districts, community centers and universities across the country. All of us are bass players. John Tierney has been a classroom teacher of civics and history for over three decades. He began his teaching career in the Bay Area of California working with “at risk” students in a variety of schools throughout the East Bay. Although he loved the work, he sought a more rural setting and moved to Elko, Nevada after six years. Since moving to Elko he has taught at the middle school, earned a masters degree, gone to work for PBS TeacherLIne as a facilitator and was named Nevada’s 2016 State Teacher of the Year as well as the NEA Affiliate for the state in 2017. Currently he is working with several state education committees and NNSTOY to create a charter organization for the state. When not working in education he is a husband, musician, fly fisher, dad, and grandpa to twin girls. As a teacher leader, do you ever question your impact and your ability to motivate and inspire? Shelly Vroegh, the 2017 Iowa Teacher of the Year, has those thoughts all the time. In this talk, she’ll share how a stranger reminded her that ordinary words and actions have the power to make a profound difference. Shelly Vroegh, the 2017 Iowa Teacher of the Year, is an instructional coach and fifth grade teacher at Lakewood Elementary School in Norwalk, Iowa. Over the course of her twenty years in Norwalk she has served as a lead mentor, a math curriculum leader, a cooperating teacher for student teachers and was the co-coordinator of the elementary summer school program for many years. At her Teacher of the Year award ceremony, then Iowa Governor Terry Branstad praised Vroegh for being an example of how “great teachers really do change lives.” Branstad noted Vroegh’s strengths both in her classroom and as a teacher leader in her district, explaining that educators like her are contributing to the success of Iowa’s Teacher Leadership and Compensation System. Mrs. Vroegh is passionate about developing teachers as leaders and working to recruit and retain quality teachers. She strives to empower teachers to create classrooms where students will have high quality literacy and math experiences, and it is her desire to cultivate a Growth Mindset in both students and teachers. Mrs. Vroegh earned an Associate Arts Degree from Waldorf College and a Bachelor’s Degree in Elementary and Special Education from the University of Northern Iowa. In May 2018 she began graduate work at Walden University. She will obtain a Master’s Degree in Educational Leadership & Administration in December 2019. Did you ever attend a staff meeting that immediately changed your thinking about one of your passions? Wendy Turner, the 2017 Delaware Teacher of the year, did just that. Come hear how some of her everyday experiences transformed her thinking around social-emotional learning. Wendy Turner has been teaching 2nd and 3rd grade since 2010, changing careers at age 40 after working in the business world. She is passionate about connecting learning in the classroom to the real world. Deeply committed to social-emotional learning, she guides her students to embody respect, empathy, citizenship, and growth mindset through dynamic classroom experiences. She advocates tirelessly for educating the whole child and trauma invested learning practices. Wendy is also the 2017 Delaware Teacher of the Year, a 2017 NEA Excellence in Education Award Recipient, a state finalist for the Presidential Award for Excellence in Teaching Science, as well as a No Kid Hungry Fellow with NNSTOY. She regularly blogs on Social Emotional Learning for Transforming Education and participates in panel discussions on SEL whenever she can. Tapping in our experiences, acknowledging our vulnerabilities and teaching with our hearts. At the end of the day kids are kids. They need the same things, love to nurture their spirits and souls, and kindness and compassion to feel safe, respected and appreciated. They also need to feel challenged. Pushed. Celebrated. And finally, they need to know that they are heard. “We give them the attention they need. And we do it with our hearts.” Through the Arts, we tap into our humanity. How EQ over IQ will save our profession. Dorina Sackman-Ebuwa is known as The Lab Coat Teacher and affectionately “Miss Dorito” by her students from around the globe. With her unique teaching style, Dorina has spent the past 21 years empowering ELL students of diverse backgrounds at the K-12 and college level. An expert in building solid relationships that result in successful learning experiences for students and teachers, Ms. Sackman-Ebuwa strongly believes culturally relevant teaching, connection to community and EQ over IQ make up the true learning experience. A Nationally Recognized Educator and Florida Teacher of the Year, Dorina takes her ELL classroom experiences, collaborative teacher workshops, and doctoral research on emotional intelligence and travels the globe as a “teacher on loan”, inspiring, motivating, and empowering teachers and the teaching profession. From innovative, personalized professional development filled with successful and differentiated strategies to authentic ‘”real talk” about teaching, Dorina Sackman-Ebuwa encourages all educators to B.E.L.I.E.V.E. !® – Be the Educators who Lead to Inspire and Empower Via Excellence! When not wearing the many hats of an educator, Dorina dons a Stetson and works on her ranch, tending to her beloved rescue and special needs cows, goats, horses, chickens, and miniature pony named Sullivan. What would happen if faith based organizations and businesses came together in a purposeful way to support early childhood literacy in our school communities? Learn how ARISE2Read is doing just that to save a child, save a family, save a city. Karen Vogelsang has taught elementary school for fifteen years in Memphis, Tennessee. She recently left the classroom to become the Executive Director of ARISE2Read, a non-profit that supports early childhood literacy, a subject of great passion for Karen. She holds a Bachelor’s Degree in Business Administration and a Master’s Degree in Elementary Education. Karen is the 2015 Tennessee Teacher of the Year. She was also recognized as a semi-finalist for the Fishman Prize for Superlative Classroom Practice in 2016 and 2017. Karen currently serves on Governor Haslam’s Teacher Cabinet and served on Commissioner McQueen’s Teacher Advisory Council from 2014 – 2016. Karen has received fellowships to Harvard’s Project Zero Classroom as a Martin Institute Fellow and Study Group Leader. As a result of these fellowships, Harvard Project Zero invited her to co-lead Project Zero Memphis, a project that provides professional development to teachers using Visible Thinking routines. Karen is a National Board Certified Teacher in Early Childhood, and a certified National Board mentor. She has served on the Gates Teacher Advisory Council, as a Hope Street Group Fellow and currently serves as a facilitator for Hope Street Group in Tennessee. The issue of the Belief Gap is very real in our schools across our nation. This talk will encourage educators to ensure that they are not exercising cultural deficit thinking and choose to believe in ALL students! Kelisa Wing is an Assistant Principal at West Point Elementary School in West Point, NY and a former Secondary English teacher. She is the 2017 Department of Defense Education Activity (DoDEA) State Teacher of the Year, the 2017 University of Maryland University College Outstanding Alumna of the Year, and a 2016 Association of Supervision, Curriculum, and Development (ASCD) Emerging Leader . She created a non-profit organization called #Squad Up for Education, Inc., to empower parents, students, and educators to commit to becoming partners in education. The goal of never allowing any child to fail is activated by setting goals, developing a road map for future success, and working with the community to realize students’ dreams. She believes that ALL students have the capacity to learn as long as we believe in their ability. She is a Toledo, Ohio native, who enlisted in the U.S. Army after high school to realize her dream of becoming an educator. She is the author of, “Weeds & Seeds: How To Stay Positive in the Midst of Life’s Storms'”https://www.amazon.com/Weeds-Seeds-Positive-Midst-Storms-ebook/dp/B01N1VQUDO and is in the process of writing her latest book on the School-to-Prison pipeline. Kelisa holds a Bachelor’s Degree in English from The University of Maryland University College, a Master of Arts in Secondary Education, and an Educational Specialist degree with a concentration in Curriculum, Instruction and Educational Leadership from the University of Phoenix. She is currently enrolled at Walden University in the Doctor of Education program. She is married to SFC (R) Donald Wing and the couple has three children: Donald Jr., Naima, and Jadon. Despite the current political and social divisiveness that characterizes our society, our communities have the power to change this self-destructive cycle. The good news is that there is an available remedy as it relates to our needs to rethink public schooling for our modern era. The social movements that we idealize – the civil rights movement, women’s suffrage, gay marriage – were driven by people who live these issues everyday. Who better than our professional educators to step forward and re-emerge as the valued partners and leaders we need for our society to move forward to a stronger, more compassionate, more productive and more just future?! As President and CEO of the Nellie Mae Education Foundation, Nick Donohue is leading efforts to reshape New England’s public education systems to be more equitable and more effective, supporting strong futures for our region’s communities. Prior to joining the Foundation, Nick served as the New Hampshire State Commissioner of Education where he shepherded in systemic reform efforts to innovate teaching and learning. He also served as Special Master at Hope High School in Providence, where he oversaw implementation of the Rhode Island Commissioner of Education’s Order to reconstitute the school. As a sought after thought leader in education transformation, Nick has worked throughout his career to expand access to high quality, innovative learning opportunities for New England students. His leadership in education reform continues to challenge traditional notions of schooling to respond to our changing world and the systemic inequities inherent in our systems of education, with the goal of preparing learners to contribute to a thriving democracy. Nick currently serves in a number of leadership roles, including Chair of the Board of Directors for the International Association for K-12 Online Learning (iNACOL), and participates as a regular member of the Partnership for the Future of Learning and Boston Opportunity Agenda. Nick’s previous board affiliations include serving as chair of the board of Grantmakers for Education, and serving as a trustee for both the University System of New Hampshire and Community Technical College System, among other affiliations. Nick’s writing on philanthropy, education transformation and systemic racism in education has appeared in The Boston Globe, The Boston Globe Magazine, The Boston Business Journal, The Providence Journal, and the Hartford Courant, among others. Nick holds a B.A. from Wesleyan University and an Ed.M. from the Harvard Graduate School of Education (HGSE). In 2016, Nick was presented with an Honorary Doctorate of Humane Letters Degree from the University of Maine at Presque Isle. Smokorowski is the 2013 Kansas Teacher of the Year and is currently serving as an Instructional Technology Coach in the Andover Public schools. Mrs. Smoke, as she’s known to her students, believes in a project-based, student-centered classroom that helps students build skills in communication, planning, research and project implementation. Additionally, Dyane thrives on the mission to create active and engaging professional learning opportunities for teachers . She wants her students and teachers to develop a love for innovation, communication, and technology, but also to understand how to use that love and passion to advance their own futures, as well as that of the global community. Onstage,success isn’t measured by test scores. It’s about stirring the audience’s hearts, transforming into someone new, collaborating behind the scenes to make the whole show possible. When we introduce theater techniques into our classrooms, we can help students challenge their notions of what they are capable of achieving. At the same time, we can help them strengthen their literacy skills and develop social and emotional competencies. In this session, get hands-on experience with a variety of theater activities while thinking through how you might use these strategies to engage your students. This session, The iGen Goes to School, will introduce the main characteristics of students born between 1996 and 2012, currently known as Generation Z. Unlike any generation before them, Generation Z was born into a fully digital world and are considered to be our first true Digital Natives. Technology growth and diversity have caused our current students to think, react, and develop in ways older generations struggle to understand and adapt to. After a brief overview of the 4 previous generations, we will discuss the ways in which Generation Z is distinctly different, how they perceive the world around and within them, and how they are transforming education, communication, and society. Participants will be asked to take a “PopQuiz” in which a variety of images, words, and questions will be presented on the screen. Attendees will use their responses to inform how they view their current practices and the manner in which student learning has shifted in the last decade. The workshop will conclude with an introduction to current best practices in reaching this new and innovative cohort of learners. Dr. Drew Dooley is a native of Albuquerque, New Mexico and has spent her life involved in one form of education or another. As the daughter of an art teacher, her formative years involved going to college classes with her mother during the summer months and throwing pots on the wheel and learning macramé knots through the winter. After a brief flirtation with law school, Drew succumbed to her true calling and completed a Masters in Education in 1993. But, this was only the beginning. Within the next decade, Drew moved out of the classroom to supervise beginning teachers, then went back to school to receive her doctorate in 2006. After that, she became a college professor which then led to becoming the Director of the NM School Leadership Institute. She retired last year to do professional speaking. Drew is also a certified Life Mastery Consultant and is in the process of publishing her first novel. Around the world, schools are modernizing curriculum by embedding creativity, computational and design thinking into project-based classroom activities. The Hacking STEM program provides inquiry-based science, technology, engineering and math lesson plans written by teachers for teachers. These free, interdisciplinary lesson plans support students building projects that range from anemometers, to tuned mass dampers, to robotic hands. Grounded in solving real- world problems, the activities also tuck 21st century technical skills like mechanical and electrical engineering into each project while bringing to life the world of data science. In this talk, Karon will share how Hacking STEM is modernizing and democratizing STEM education. Karon Weber is one of the creative forces on the Education Team at Microsoft. An innovator, experience architect and a storyteller, Karon is the Partner Director of the Education Workshop. Her team is responsible for incubating and developing new hardware, software and service experiences for K-12. Karon drives all her projects with the user at the center and puts as much emphasis on “doing” as she does on “thinking”. Previously, she led a team that incubated Windows technologies including IoT, ink and new hardware. She has also contributed to advancing the strategy for Xbox One, Xbox Live and Windows Phone. Prior to joining Microsoft, Karon’s leadership and design craft were honed working at Pixar, Yahoo!, SGI-Alias/Wavefront, and Xerox PARC, where she influenced the development of the nascent digital entertainment space. She holds over 40 patents and has credits on 4 films, 2 which won Academy Awards. A hands-on activity that brings the philosophy and concepts from the previous session to life. I was born in Belfast in 1967 and grew up there through the worst of the “Conflict”. I was aware that I had incredible encouragement from my school and family in following my dream of a career in acting and was lucky enough at 18 to become the first Northern Irish student to be given a grant for a “Drama” school and attended the prestigious Italia Conti Academy I was asked to become a teacher and I entered the profession with an attitude that became a style “I’m still learning so let’s try and figure this out together” I knew I had to give something back especially to those who didn’t have the support that I had and I believed that acting could bring both sides together in Northern Ireland where schools are still segregated and you either attend a Protestant or Catholic school. Anyone ever teach you how to be smart? Yeah, me neither. I discovered and integrated the 16 Habits of Mind into my 7-12 science classes and then taught a HOM class for 6th graders for a year. The HOM are like a toolbox for learners to use, helping them to be “smart” when the answer to a problem is not readily available. We will do a lesson on persistence and one on striving for accuracy to demonstrate the efficacy of the HOM in school and in life. These skills are “lifeworthy”, that is, they will extend into the learners’ lives far after their time in the classroom. I taught 7-12 science at North Bend Central(NE) for 35 years, retired, and then returned to cover for my replacement while he was in Iraq less than a year later. I’ve been elected to the school board of the district where I worked and am in my second year of service. I still curate the 22 acre Franklin-Cotterell Greens Arboretum on the h.s. grounds. 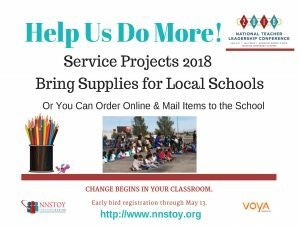 I’ve been president of our state science teachers organization, NATS; and organized the Nebraska TOYs into NNSTOY. I am a certified professional developer for the Institute of Habits of Mind. As educators, we often come up against situations in which difficult topics must be addressed. What do we know about the best strategies for those moments? Based on Jennifer’s work on conflict and her books on having hard conversations, this keynote will provide participants with support, a laugh, and resources to help them communicate in even more humane and growth producing ways. Formerly a high school English teacher and a new teacher coach, Jennifer Abrams is currently a communications consultant and author whose publications include Having Hard Conversations, The Multigenerational Workplace: Communicate, Collaborate & Create Community and Hard Conversations Unpacked – the Whos, Whens and What Ifs. Jennifer has been named one of the “18 Women All K-12 Educators Should Know” , has been featured in the blog “Finding Common Ground’’ from Education Week and has been the recipient of Educational Entrepreneur Award by the International Academy for Educational Entrepreneurs. Teacher strikes. Immigration reform. Student walkouts. Racial inequalities. LGBTQ issues. In this session, panelists will facilitate a whole group launch discussion and small group breakouts about ways for teachers to lead on the important issues of our time. Rich Ognibene is a 2015 inductee into the National Teachers Hall of Fame. In 2009 he received the Horace Mann Award for Teaching Excellence and in 2008 he was named New York State Teacher of the Year. Rich teaches Chemistry and Physics at Fairport High School; September begins his 33rd year in the classroom. He has also been an adjunct professor of chemistry at Monroe Community College. Besides teaching science, Rich is a leader of Brotherhood-Sisterhood Week, a district-wide program designed to teach the values of civility, respect, and embracing of human differences. During his career, Rich has been a class advisor, a soccer coach, a mentor teacher, a gay-straight alliance advisor, a senior-trip chaperone and a vice-president for the teachers’ union. Rich is a recipient of the 2006 Fairport Crystal Apple Award and the 2002 American Chemical Society Teacher of the Year Award. José Luis Vilson is a math educator, blogger, speaker, and activist in New York City, NY. He is the author of This Is Not A Test: A New Narrative on Race, Class, and Education, and has spoken about education, math, and race for a number of organizations and publications, including The New York Times, Education Week, The Guardian, Al Jazeera America, Huffington Post, Edutopia, GOOD, and El Diario / La Prensa, NY. He is the founder of EduColor, a Math for America fellow and a National Board Certified teacher. Stacey Dallas Johnston is a veteran educator from Las Vegas, NV. After 18 years in the classroom teaching English Literature and Creative Writing, Principles of Leadership, and acting as a Magnet Theme Coordinator, Johnston has joined the NDE as the Teacher Leader in Residence. After serving with the U.S. Department of Education as a Teaching Ambassador Fellow, Johnston now has the opportunity to fuse federal policy to state-level policy and act as a conduit between the practitioners in the field and the NDE. Johnston is also a fellow of the Southern Nevada Writing Project and runs an independent blog about education called This Teacher’s Journey. Matthew Friedman grew up in Philadelphia (Go Eagles!). He studied film and English at Hunter College in New York City, then moved to Los Angeles and received his teaching license from California State University of Long Beach. Matthew has taught 7th grade English for the past six years at Brown Academy of International Studies, an IB magnet school in Henderson, NV. Though there were moments his first year when he questioned whether he would even live through the insanity of his first year of teaching, he feels immensely grateful to have a job that allows him to make a difference in the lives of students. Matthew lives in Henderson with his wife, also a teacher, their two biological children, and a foster baby that they hope to adopt before the end of the year. L. Juliana Urtubey holds a Bachelor’s Degree in Bilingual Elementary Education and a Master’s Degree in Special Bilingual Education from the University of Arizona. Born in Bogotá, Colombia, Ms. Urtubey and her family arrived to the U.S. when she was six years old. She has taught for the last nine years in Tucson, Phoenix, and Las Vegas in various classroom settings including bilingual general education, bilingual self-contained and elementary resource. Currently, Ms. Urtubey is teaching intermediate resource at Crestwood Elementary in Downtown Las Vegas. Over the past four years, she has led the development and expansion of garden classrooms that today span 15,000 square-feet of previously unused grass and dirt areas. The outdoor classrooms are spaces where teachers from her school teach science, math, reading, and writing. In addition to building the garden program at her school, Ms. Urtubey has written S.T.E.A.M. curriculum focusing on food justice and has helped develop and lead professional development classes to help prepare teachers across the Clark County School District to teach effectively in outdoor spaces. Ms. Urtubey is recent a graduate from the Public Education Foundation’s Teacher Leadership Academy and currently, a National Board Certification for Teachers candidate. How can professional learning opportunities be transformed to empower STEM teachers with the skills they need to create robust learning environments? What changes could be made to teacher training and professional learning that would directly lead to increased interest of STEM careers among students? What are some activities or learning programs that would lead to those outcomes? This past year 15 Master STEM educators partnered with 15 Early Career STEM educators in an exploration of these questions and much more! Join us to engage in conversations about what we learned and next steps all K-12 educators can take to improve STEM teaching and learning. Kristen Ann Record, the 2011 Connecticut Teacher of the Year, has taught physics at Bunnell High School in Stratford since 2000. Record has been an educational consultant for the CT Clean Energy Fund, the CT Science Center, and Project Opening Doors, and was the High School Area Director for the CT Science Teachers Association. She was appointed to the 2012 Legislative Task Force for Secondary School Reform and serves on the CT State Department of Education’s Next Generation Science Standards District Advisory Committee. Nationally, Record has engaged in STEM policy work with MIT and GW, presented numerous workshops for the National Science Teachers Association, the American Association of Physics Teachers, and BP’s A+ for Energy Education program, and is the recipient of a U.S. Department of Energy Academies Creating Teacher Scientists Fellowship. Record is the recipient of the 2009 Presidential Award for Excellence in Mathematics and Science Teaching, the nation’s highest honor for pre-college math and science teachers, and the 2015 NEA Foundation Award for Teaching Excellence. She is also a 2015 NEA Foundation Global Learning Fellow and the recipient of a 100Kin10 Fellowship. She is the co-chair of NNSTOY’s Voya National STEM Fellowship. A resident of Bridgeport, Kristen has a B.S. in Physics from Fairfield University, where she graduated Phi Beta Kappa; an Ed.M. in Teaching and Learning from the Harvard Graduate School of Education; and a Certificate of Advanced Graduate Study in Science Instruction from Southern Connecticut State University. William Fremd High School Applied Technology Teacher Steve Elza was named the 2015 Illinois Teacher of the Year by the Illinois State Board of Education. Mr. Elza currently teaches several courses in automotive technology in his current position at Township High School District 211 in Palatine, Illinois. Outside of the classroom, Mr. Elza is heavily involved in Fremd High School’s extracurricular activities: sponsoring the Automotive Club, Hot Rodders of Tomorrow Engine Challenge, the school’s Safety Committee, and is a part of the Viking Advisory Mentoring Program (VAMP). Dr. LeAnn Morris is the Lead District Technology Integration Specialist in the Carson City School District where she is a veteran teacher of 28 years, with 24 of those years in supporting teaching and learning with technology. She is the project leader of the 1:1 Mobile Technology Project and her primary teaching responsibility are organizing and facilitating technology professional learning opportunities for all 500+ district K-12 teachers and administrators. LeAnn recently earned her Ph.D. in Educational Technology from Walden University, and also holds her M. Ed. in Educational Technology from Lesley University and her B.A from the University of Wyoming in Early Childhood Elementary Education. She is also a Certified Education Technology Leader (CETL) awarded by the Consortium of School Networking (CoSN) that signifies that an individual has mastered the knowledge and skills needed to bring 21st-century technology to K-12 school systems. She was the 2008 Nevada State Teacher of the Year, the 2009 recipient of the National Education Association Foundation Award for Teaching Excellence for the State of Nevada and is a Kappa Delta Pi Teacher of Honor. Improvement Science is a scientific methodology that values the expertise of practitioners and the research community equally. It is embodies six core principles to guide the work of improving outcomes within systems. Through this approach, practitioners are empowered to disrupt the status quo by understanding their user, accessing the expertise of those closest to the problem and utilizing disciplined inquiry and data in a manner that it is practical and job-embedded to facilitate change and improvement. The purpose of this session is to empower participants to see themselves as improvers by being exposed to an overview of Improvement Science. Additionally, a tool of improvement science will be introduced to strengthen the ability to understand a problem from other perspectives and use that data as a catalyst for fostering improvement. Participants will be challenged to take a critical look at how they can apply these tools to their local context and brainstorm possible next steps. The desire is for every participant to leave knowing that they have the power to be the change their classrooms, schools and communities. • Participants will learn about the six core principles of Improvement to facilitate them seeing themselves as improvers. • Participants will learn why and how to conduct empathy interviews as a mechanism to understand diverse perspectives. Patrice Dawkins-Jackson joined the Carnegie Foundation for the Advancement of Teaching in 2017 as a networked improvement science fellow. Most recently, Patrice was an instructional leader, learner, and assistant principal at Sandy Springs Middle. There, she used her knowledge of design-thinking to help impact professional development, engagement, and instructional practices. Patrice had worked as an educator in Fulton County Schools for 12 years. During that time, she served two terms as a U.S. Department of Education Classroom Teaching Ambassador Fellow. Her passion for teacher leadership was further ignited when she joined Teach to Lead, an initiative convened by the National Board for Professional Teaching Standards, ASCD, and the U.S. Department of Education, with a mission to advance student outcomes by expanding opportunities for teacher leadership. Patrice earned her certified associates in project management as well as a B.S. and M.ED in early childhood education from the University of Central Florida. This interactive session will highlight the voices of STOY NBCTs who have served in teacher leadership roles. First, a representative of the National Board for Professional Teaching Standards will provide an overview of the National Board’s mission and the new certification process that is intended to be more flexible and more affordable. Second, STOY NBCTs will share their stories and how they drew on their combined recognitions to advance the profession. A Q&A period will be offered to engage with these STOY NBCTs. Finally, the National Board will provide an overview of an Advocacy Toolkit to provide an opportunity for participants to identify practical approaches to advocate for advancing the profession. Ellen Sherratt, Ph.D. is Vice-President for Policy and Research at the National Board for Professional Teaching Standards. 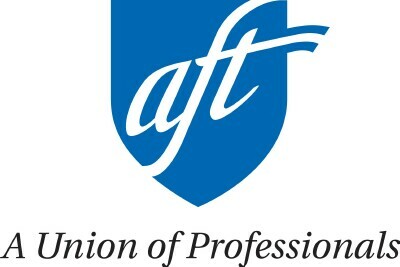 She previously served as Deputy Director of the federally-funded Center on Great Teachers and Leaders at American Institutes for Research, where she supported state education agencies in developing and implementing plans to ensure equitable access to excellent educators for all students (state equity plans). She has published widely on the topics of teacher shortages, recruitment, retention, leadership/voice, career pathways and compensation, human capital management systems, and the perspectives of teachers from the Millennial Generation. She has coauthored two books: “Everyone at the Table: Engaging Teachers in Evaluation Reform” and” Improving Teacher Quality: A Guide for Education Leaders”. She also serves as president of the board of directors of The Teacher Salary Project. Dr. Sherratt earned her bachelor degree in economics from Cornell University and her doctoral degree in education from the Oxford University. Sydney Chaffee is the 9th grade Humanities teacher at Codman Academy Charter Public School in Boston, MA, and the 2017 National Teacher of the Year. She is a National Board Certified Teacher with a passion for helping diverse learners grow and discover the power of their own voices through authentic, relevant, interdisciplinary curricula. Sydney earned her B.A. from Sarah Lawrence College and her M.Ed. from Lesley University. Dr. Stacey Donaldson currently serves as National Board Project Director with the Mississippi Department of Education. She supports the six World Class Teaching Programs in statewide efforts to improve teaching and student learning through National Board Certification. An NBCT in career and technical education, Donaldson has been involved in some aspect of mentoring and supporting teachers at the local, state, and national levels for the past10 years. A 2015 Milken Fellow and 2010 National State Teacher of the Year, Donaldson spent 12 years in the classroom and is passionate about teaching, learning, and sharing this joy with students and teachers. Kelly Elder earned National Board Certification in Early Adolescence/Social Studies-History in 2009, instilling reflection as a standard part of his practice and resulting in an unending quest to improve his teaching for all students. In 2017, Elder joined other professional educators in testifying before the state legislature for a bill that later became law that added an annual state stipend for NBCTs in Montana. His work in education varies from within his district to statewide policy, serving both on the district Ongoing Negotiations Committee and as Chair of the Certification Standards and Practices Advisory Council for the Montana Board of Public Education. Through representing the profession as Montana’s 2017 Teacher of the Year, Elder has advocated for increased equity as well as recruiting and retaining quality educators in his state. As such, he is involved with the Montana chapter of Educators Rising. He has mentored and conducted seminars with undergraduate education majors on multiple campuses around the state and has a constant eye on helping elevate the profession. He was also selected as one of five teachers of the year to represent U.S. educators on a weeklong-investigation of Finland’s Educational System in 2017. Mr. Elder is excited for lifelong learning opportunities, including as a 2018 NEA Foundation Global Learning Fellow, for which he will be traveling to South Africa with his fellowship class after this conference. Rarely are teacher leaders invited to the decision-making table to contribute to discussion related to statewide education initiatives and reform efforts. Even more rare is for teacher leaders to be well-connected to their State Education Agency. At the Oregon Department of Education (ODE) teacher leaders have successfully partnered with the state to establish a coalition of educators (known as the Deputy Superintendent’s Advisory Council) who routinely engage with state education leaders to inform policy. In year three of its work, the Council is vested in effectively supporting and sustaining systems that strengthen and amplify teacher voice in order to improve outcomes for all students. This session aims to create a community of learning by posing critical questions, facilitating discussion, sharing resources, and empowering participants to consider their State Education Agency as a key lever for advancing teacher leadership. Through a series of hands-on activities, participants can expect to gain exposure to effective practices. They will engage in small group work to reflect on challenges and opportunities for elevating teacher voice in their state. Participants will come away with promising practices, new knowledge, and strategies for expanding teacher leadership in their state. Nanette Lehman is the 2013 Oregon State Teacher of the Year and an NEA Global Fellow. She was appointed to the Oregon Governor’s Council for 2016-17 and Deputy Superintendent Advisory Council from 2015 to the present. Nanette is an elementary school administrator and assists in a mentor program for new teachers in Eastern Oregon. Michael Lindblad is the 2015 Oregon State Teacher of the Year and an NEA Global Fellow. In his role at the Oregon Department of Education, Michael leads teacher leadership and supports statewide mentoring. He taught Social Studies for 21 years, speaks Spanish, and enjoys inspirational speaking. Dr. Meg Boyd is a former English teacher leading strategic communications and engagement for the Oregon Department of Education. She was instrumental in collaborating with teacher leaders to construct the Deputy Superintendent’s Advisory Council. A fierce advocate for students, Meg believes the voices of educators act as a driving force for changing public education. 4) the connection between teachers being a changemaker and how that support enables their students to become powerful changemakers. Vipin Thekk is the founder of Parenting Changemakers, an initiative designed to re-imagine parenting for the 21st century and is the co-founder of Wellbeing Project, an initiative to support Social entrepreneurs to create well-being in their personal and professional life. He is also a Director at Ashoka, which leads the Changemaker School Districts’ work to integrate empathy and changemaking skills in the district’s mindset, curriculum, systems, and culture. Before joining Ashoka, he co-founded Tulir – Center for the Prevention & Healing of Child Sexual Abuse in Chennai, an organization which works on the prevention of child sexual abuse (CSA). Vipin has a master’s in social work and is an Integral Life Coach, a kundalini yoga teacher and has extensive experience leading transformation based work for communities around the world. Social and Emotional Learning Skills: Can they be Measured? Can they be Modified? Over the past two decades, considerable time and resources has been spent developing social and emotional learning (SEL) programs. Such programs are variously touted as a panacea for school bullying; a means to prepare students for the coming workforce; and/or to instill individuals with the right mindsets to become responsible global citizens. Advocates of these programs often claim success absent of data, while critics of these programs often dismiss them purely on the grounds they take students away from the 3R’s. Whichever perspective one adopts, it seems these programs are here to stay, and the sheer number of programs and constructs supposedly targeted is mind-bogglingly large. In this presentation I will argue that there are only five core constructs that these programs should target, and that they should not be measured as they are now. I also provide scientific evidence that they can be modified, though many programs fail to instill the importance of teachers as models for SEL skills or to provide students with declarative knowledge as to what these skills actually mean (and the benefits they would have in acquiring them). I conclude with a brief demonstration of a social and emotional learning system that bundles all of these features into a coherent whole. Richard D. Roberts, Ph.D. is currently co-founder and Chief Science Officer, Research and Assessment: Design Science Solution (RAD Science), Philadelphia P.A. An internationally acclaimed scientist-practitioner, for two decades he has been at the forefront of research and development of cognitive (e.g., ASVAB) and noncognitive (e.g., ACT TesseraTM) skill assessment systems. Dr. Roberts has published over a dozen books and more than 200 articles on these topics in diverse sub-disciplines (including, education, psychology, business, medicine, and engineering). Previously serving senior leadership roles at the Educational Testing Service (ETS), ProExam, and ACT Inc., he has worked closely with major organizations such as the Intelligence Advanced Research Projects Activity, Organisation for Economic Co-operation and Development, Army Research Institute, Australian Research Council, and the Bill and Melinda Gates Foundation. Today’s youth must navigate a complex, economically competitive, and globally connected world. Yet the nation’s predominant approach to PreK-12 education fails to fully prepare students for this future. From the schoolhouse to the state house, we have emphasized the academic skills our students need. But overwhelming evidence demands that we complement the focus on academics with the development of the social and emotional skills and competencies that are equally essential for students to thrive in school, career, and life. The Aspen Institute’s National Commission on Social, Emotional, and Academic Development is uniting leaders to re-envision what constitutes success in our schools. As the Commission approaches the release of its Report from the Nation at the end of 2018, members of the Commission are sharing draft recommendations with key partners to solicit their input and feedback. This session will provide an opportunity for attendees to hear and provide feedback on the draft practice change recommendations. Leticia Guzman Ingram is currently a teacher of the English Language Development (ELD) and Film as Literature at Basalt High School. In 2016, Leticia was selected Colorado Teacher of the Year by the Colorado Department of Education. 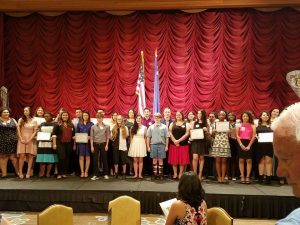 She also is the recipient of the Virginia French Allen Award for Excellence in Teaching and was selected ELD Teacher of the Year. Leticia was awarded a educational scholarship that included a visit to Finland to study their Educational System. In partnership with the United States State Department and the Embassy of Hague, Leticia facilitated a workshop at Edith Stein College and she is now considered an ambassador of United States Education. As a member of The Aspen Institute’s National Commission on Social, Emotional, and Academic Development, she has presented numerous times that includes a session before a congressional briefing on education and at the Aspen Ideas Festival. During the summer of 2017, Leticia participated in the NEA Global Fellowship Program that included a visit to China where she gained first hand knowledge of their Educational Program. She is currently working on her EDD in Leadership Organization and was just named as one of the”2018 Mover and Shakers” in her hometown. Chris currently teaches Spanish and serves as Instructional Leader for the Humanities at Joel Barlow High School in Redding, CT. He is a National Board Certified Teacher. Chris previously worked for two years in a hybrid role, splitting his time between teaching in his district and working alongside policymakers as a Teacher Leader-in-Residence at the Connecticut State Department of Education. He currently serves as Immediate Past Chair of both the National Network of State Teachers of the Year and the Connecticut Teacher of the Year Council. In 2016, Chris earned a Fund for Teachers Fellowship grant to attend a leadership development seminar in Spain. Previously, he was a Hope Street Group National Teacher Fellow and a member of the inaugural Teacher-Leader Fellowship hosted by the Aspen Institute. Poulos holds a Sixth Year in Educational Leadership from the University of Connecticut, a Masters degree in Spanish Education from Teachers College, Columbia University, and a Bachelor of Arts in Leadership Studies from the University of Richmond. Lyon teaches 4th grade at Lawton Elementary School in the Seattle Public Schools. He is a National Board Certified Teacher who has served his state Superintendent on the Washington Social and Emotional Learning benchmarks group. The group created standards, developed modules for educator learning and is working on indicators by grade level. Lyon has taught for over 20 years from preschool to 5th grade. He is a member of the Aspen Institute’s Council of Distinguished Educators that informs the National Commission on Social and Emotional and Academic Development from an educator perspective. Have you noticed that classrooms are segregated? Do your students appear to interact with students that only resemble themselves? Do you want them to engage with students from a diverse population using technology? Have you ever wanted to take your students on a class trip that would help them build relationships with diverse students in order to help them combat prejudices and biases? Mark Twain said, “Travel is fatal to prejudice.” As teachers, we know that students bring unique qualities to the classroom due to their backgrounds. Therefore, It is imperative that we celebrate their differences and give students the opportunity to foster relationships with others. Two educators came together, one from the south and one from the north, to bring their all white and all black classrooms together using innovative methods that allowed their students to interact with each other. This session will offer some lessons learned from the project, the technology and strategies that were used in the classroom primary student perspectives regarding race and biases. The session will also provide interactive strategies (problem- solving map, brainstorm carousel, and gallery walk, to name a few) to interact with other participants, and to create an action plan for the upcoming school year. After this session, the conversation will continue with a follow-up webinar from these two educators. Michael Dunlea currently teaches 2nd grade in Tabernacle Elementary School in Tabernacle, NJ. He is a strong advocate for students, teachers and the teaching profession. Michael is a 2012 NJ State Teacher of the Year Finalist. His advocacy led him to be a National Teacher Fellow in America Achieves and Hope Street Group. Over the years he has been awarded the Presidential Award of Excellence in Mathematics and Science Teaching and the Henry Ford Innovative Teaching Award. In 2015 he became National Board Certified as Early Childhood Generalist. Michael has served as an advisor to the NJ State Department of Education on several councils and committees, including the State Program Authorization Council and the NJ Student Learning Standards Committee. When Hurricane Sandy hit, Michael co-founded a non-profit organization called Stafford Teachers And Residents Together (START), to help clean and rebuild. He continues to serve his community as the President of the non-profit watchdog group Alliance for a Living Ocean, ALO. Helping students get an equal shot at the opportunities that life will provide remains his core mission. Melissa Collins is a second grade teacher at John P. Freeman Optional School in Memphis, Tennessee, and believes that all students should have access to a quality education. She is an advocate for public education, and she believes teachers must have a voice in shaping policy and practice. Her passion has led her to participate in Fellowship programs with America Achieves, Teach Plus and Tennessee Hope Street Group. She supports higher standards and serves as a Core Advocate with Students Achievement Partners. As a Core Advocate, she has led professional development sessions, mentored teachers, and served on panels to impact student achievement. At Playworks, we believe in the power of play to bring out the best in every child and we support kids to feel included, be active, and build valuable social-emotional skills. In this session, we would share strategies we have used on the playground with teachers and administrators given the benefits this can yield in the classroom. We would first ask participants to share common classroom management challenges along with approaches they currently use to address these. We would then explore how a play-based approach might be helpful in these instances by introducing games that could diffuse a situation or decrease the chances of encountering that situation. In addition to demonstrating how play could be effectively used in the classroom at appropriate times, we would also discuss the specific social emotional skills that students (and teachers) could practice through these games. The goal would be for participants to move around and play together which would allow them to experience some of the group management / SEL skill building approaches we use with kids on the playground firsthand and leave with strategies and tactics that they can easily integrate and immediately apply in their classrooms. Heather began her journey with Playworks Arizona in 2011 as a development and fundraising intern. She fell in love with the Playworks mission and became a program coordinator in 2012 for Playworks Texas. After spending a year in Texas, Heather transferred her love of play to Playworks Massachusetts where she resumed being a coach from 2013-2015. Wanting to trade her snow boots in for flip-flops, Heather transferred to Playworks Arizona as a program coordinator for the 2015-2016 school year. After her experience as a coach, she moved into the Program Specialist role where she used her experience to support program quality throughout the region. Heather is now using her knowledge and experience to support schools and youth organizations across the state of Arizona with trainings and consultations as a Pro Trainer. In her spare time, Heather enjoys floating on a raft in her pool, hanging out with her family and reading. inspirED is a program designed to engage and empower students to work together to create more inclusive, safe and connected schools and communities. This session will highlight the ways in which educators can support their students to elevate their voices to measure and build positive school climate, while developing core social and emotional learning skills. Participants will hear directly from a panel of inspirED student leaders about how to dream up and create a vision through the 4-step inspirED process for a kinder, more inclusive and empathetic school community. Through students sharing stories, examples, and experiences, we can unite our work and empower students and school professionals to advocate and develop data driven solutions for their needs. Nikki Staubli is a program manager at Facebook for their Facebook for Education team, and has been with the company for 11 years. She began her career on the Community Ops team as a founding member of Facebook’s Child Safety vertical, initially focused on the tools that help keep people safe. Later at Facebook Nikki was able to launch the Bullying Prevention Hub in 52 countries. Most recently, Nikki has been leading youth leadership training events around the country where students go back to their schools ready to create positive change. Students active with the flagship program, inspirED, will present this workshop with Nikki to showcase one aspect of the Social and Emotional Learning programs offered by Facebook for Education. Teaching is one of the most stressful occupations in the country so introducing organizational and individual interventions such as mindfulness practices can help minimize the negative effects of teacher stress. In this session, participants learn how mindfulness techniques can improve one’s health, concentration, focus, and ultimately improve teacher well-being for fostering strong student connections and engagement. Participants will identify their stress level, participate in a mindfulness practice, explore the CALM Toolbox website where users will find a plethora of resources available at their fingertips for creating a Teacher Health and Wellness Community at their schools, and a “takeaway” to practice on their own. Kerry Treichel has a NBCT in Early/Middle Childhood Reading & Language Arts. She holds a Masters of Arts in Elementary Education, is an alumna of Cohort 2B Public Education Foundation’s Teacher Leadership Academy, and holds a Literacy and Gifted and Talented endorsement. Her passion is teaching, whether 5th graders or adults. In addition to being a school teacher, she teaches meditation, yoga, and group fitness. She leads Yoga Teacher Trainings and retreats. Additionally she is a 500 Hour Educator for Yoga Alliance and a Yoga Alliance Continuing Education Provider. Social Emotional Learning has become the latest educational “buzz word.” It is important to understand that the set of core principles on which Social Emotional Learning (SEL) is based is essential for our students, but is not an “add on” to an already overflowing agenda for our students and teachers. We posit that SEL is best integrated into literacy instruction and woven into the very fabric of how our students learn to read and write as well as how they respond to literature and each other. Literacy is, at its heart, both a social and an emotional transaction. The very success of our literacy instruction hinges on students’ ability to work together, push each other’s thinking, respond in thoughtful ways to literature and expository text , and write with passion and voice. Research tells us that social and emotional competencies not only prepare students to be productive contributors to a literacy community, but also increase students’ capacity to learn (Dulak et al., 2011). Yoder (2014) suggests that teachers should help students understand the ways in which their emotions influence their classroom interactions. This session builds on the SEL core competencies from the Collaborative for Academic, Social and Emotional Learning (CASEL) and links those competencies directly to specific best practices in literacy, including but not limited to student choice, classroom discussion, self-reflection and self-assessment, and competency building (Yoder, 2014). Through the use of these teaching practices, specifically in literacy, teachers can intentionally focus on SEL while simultaneously providing rich literacy instruction. Claire Riddell has served as a classroom teacher, school and district based instructional coach, and assistant in research at Florida State University. She received her MEd in Elementary Education at the University of Oregon. She has facilitated professional learning at the local, state, and national level and has written curriculum at the national level. In Claire’s role as an Education Consultant with the Center for the Collaborative Classroom, she supports the work of educators around the state of Florida as they look to facilitate academic and social emotional learning among their students. Dr. Marisa Ramirez Stukey is a Regional Director with the Center for the Collaborative Classroom. She received her Ph.D. in Curriculum and Instruction with an emphasis in teacher education and professional learning and a Master’s Degree in Reading Education, both from the University of Florida. She is a Nationally Board Certified Teacher with over fifteen years experience teaching in both elementary and higher education contexts, instructional coaching, and professional learning systems development. Her research interests focus on reading comprehension instruction and designing literacy professional learning. She has consulted with numerous school districts in developing change models and collaborative professional learning structures, particularly to shift literacy instruction. She lives in Gainesville, Florida with her husband and young daughter. Equity Focused Education: A Conversation with John King Jr.
John B. King, Jr. is the President and CEO of The Education Trust, a national nonprofit organization that aims to identify and close opportunity and achievement gaps, from preschool through college. He served as the U.S. Secretary of Education from 2016 through 2017. In tapping him to lead the U.S. Department of Education, President Obama called Dr. King “an exceptionally talented educator,” citing his commitment to “preparing every child for success” and his lifelong dedication to education as a teacher, principal, and leader of schools and school systems. Before becoming Secretary, Dr. King had served at the Department since January 2015 and carried out the duties of the Deputy Secretary, overseeing all preschool through 12th-grade education policies and programs as well as Department operations. Secretary King joined the Department following his tenure as the first African-American and Puerto Rican to serve as New York State Education Commissioner, a post he held from 2011 to 2015. King began his career in education as a high school social studies teacher in Puerto Rico and Boston, then as a middle school principal. He credits New York City public school teachers — particularly educators at P.S. 276 in Canarsie and Mark Twain J.H.S. in Coney Island — for saving his life by providing rich, engaging, and transformative educational experiences and giving him hope about the future. He holds a Bachelor of Arts degree in government from Harvard University, a J.D. from Yale Law School, a Master of Arts in the teaching of social studies and a doctorate in education from Teachers College at Columbia University. You’ve heard breakfast is the most important part of the day. Why do some students skip breakfast? Breakfast After the Bell brings equity to school breakfast programs. Just as each school is different, each fellowship journey is different. Come learn about our successes, roadblocks, and lessons learned. You’ll leave with information on how to start a Breakfast After the Bell program. Angela Homan has been teaching for 25 years and is currently a fourth grade teacher in the Penns Valley Area School District in central Pennsylvania. She has also taught fifth and sixth grade.Angela enjoys integrating technology into her instruction and connecting with other classrooms. Angela is a National Board Certified Teacher and was a finalist for Pennsylvania Teacher of the Year in 2011. Angela is thrilled to be a fellow with No Kid Hungry and NNSTOY. After attending last year’s conference in Washington DC, changing how breakfast is served in school has become a passion for her. Lisa Halloran currently teaches kindergarten at Mohegan Elementary School in Uncasville, CT. She teaches newcomers to the English language as well as English speaking students. Lisa was awarded a 2016 Fund for Teachers Fellowship to study art in Paris as a means of enhancing oral vocabulary development of EL and all students. She has been teaching for 30 years and has also taught special education and second grade. 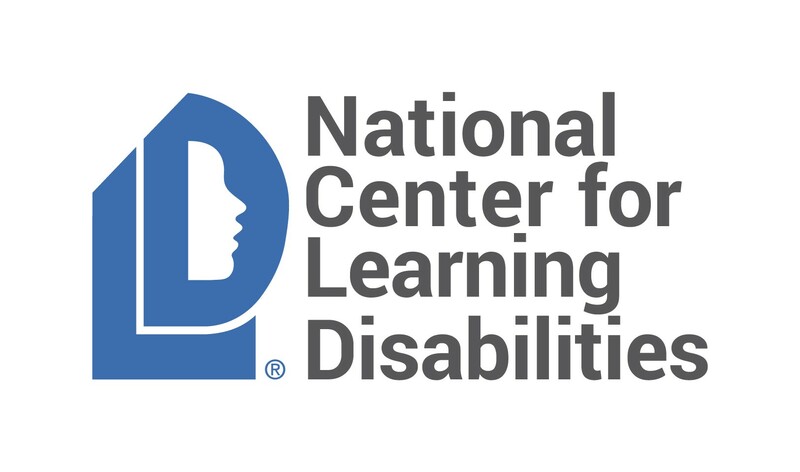 Lisa has a master’s degree in special education with a concentration in gifted and talented from the University of Connecticut. Lisa has presented at ATOMIC (2015,2016), Empowered to Lead 2017 (E2Lead CT), ConnTESOL (2017), ECET2NHVT (2018), as well as in district. She attended the NNSTOY national conference in 2017. Lisa has also taken classes in therapeutic recreation, enjoys amateur photography, and Impressionism. Wendy Turner has been teaching 2nd and 3rd grade since 2010, changing careers at age 40 after working in the business world. She is passionate about connecting learning in the classroom to the real world. Deeply committed to social-emotional learning, she guides her students to embody respect, empathy, citizenship, and growth mindset through dynamic classroom experiences. She advocates tirelessly for educating the whole child and trauma invested learning practices. She is the 2017 Delaware Teacher of the Year, a 2017 NEA Excellence in Education Award Recipient, a state finalist for the Presidential Award for Excellence in Teaching Science, as well as a No Kid Hungry School Breakfast Fellow with NNSTOY. She regularly blogs on Social Emotional Learning for Transforming Education and participates in panel discussions and conferences on social emotional learning whenever she can. Abdul Wright is an eighth grade Language Arts teacher in North Minneapolis. He also holds the title of being an Instructional Coach and Data Team leader. He has taught Language Arts for the past five years. Mr. Wright strives to make a positive difference in impoverished communities,while also striving to be the best version of himself. He completed an African American Leadership program in the Spring of 2016. Also graduated from Hamline University in the Spring of 2016, with a degree in Education. Mr. Wright earned his Bachelor’s degree in Communication Arts and Literature in 2011. He received the Minneapolis PeaceMaker award from the city of Minneapolis I 2015, received “ the You’ve Made a Difference” award from Cristo Rey Jesuit High School in 2015 and 2016, and is the recipient 2016 Minnesota Teacher of the Year award. The first black male to receive the award, the youngest, and the first from a Charter school. In her role on Share Our Strength’s No Kid Hungry campaign, Brie Doyle, Ph.D. engages organizations in the education sector to help increase students’ access to the School Breakfast Program. Previously, Brie worked at the University of Maryland exploring best practices in literacy for students from low-income, non-Native English speaking and special education backgrounds. Her work is published in books and journals such as Reading Research Quarterly, Reading and Writing: An Interdisciplinary Journal, and The Reading Teacher. She holds a Ph.D. in Special Education and a M.Ed. in Reading Education from the University of Maryland, College Park. Michael Dunlea teaches 2nd grade in Tabernacle Elementary School in Tabernacle, NJ. He is a 2012 NJ State Teacher of the Year Finalist. Michael is a Presidential Award of Excellence in Mathematics and Science Teaching and the Henry Ford Innovative Teaching Award recipient. In 2015 he became National Board Certified as Early Childhood Generalist. He serves his community as the President of a non-profit Alliance for a LIving Ocean, ALO. Helping students get an equal shot at life remains his core mission. Derek Voiles is a seventh grade language arts teacher at Lincoln Heights Middle School in Morristown, Tennessee. He is passionate about literacy, student advocacy, and ongoing professional development. He has a Bachelor’s Degree in English-Literature and a Master’s Degree in Teaching English as a Second Language from Carson-Newman University, an Education Specialist Degree in Instructional Leadership from Lincoln Memorial University, and a Doctorate in Educational Leadership from East Tennessee State University. In addition to classroom teaching, Derek serves as a member of Commissioner McQueen’s Teacher Advisory Council, a National SRSD Writing Trainer, as well as a No Kid Hungry School Breakfast Fellow with NNSTOY. Derek has been recognized as Tennessee’s 2017 Teacher of the Year. Learners will be introduced to “Speak Truth to Power”, a human rights based curriculum provided by Robert F. Kennedy Human Rights (RFK), free of charge. This particular session will explore an arts-based modification not currently available online or via RFK. Teachers, as if they are student learners, will engage in the process of creating a verbatim performance piece. RFK has a play by the same title which will serve as an exemplar of verbatim theatre. This session will also share award-winning student examples of verbatim theatre. The process includes exploring bias, compiling data on chosen/relevant issues, conducting/transcribing interviews, and composing a performance piece. The session will also include theatre games that facilitate the project as well as improve classroom culture; these games engage students and improve listening and speaking skills. One game is called “Other People Stories”. During this game, learners will swap stories following verbal prompts froma facilitator. At some point, the facilitator will ask learners to recount the story they heard. As a whole group, learners will debrief the activity. Students will have gained a sense of a few concepts: what verbatim is, the difference between emulate and imitate/mockery, bias, and honoring another person’s voice/story. The session will end with small groups composing and performing short verbatim plays. Estella Owoimaha-Church, Global Teacher Prize Finalist (2017) holds an M.A. in Education: Language Arts & Literacy, and a B.A. in African-American Studies: Urban Education. Estella teaches theatre in Los Angeles, helping youth to employ performing arts as a community service tool. Mrs. Church is an education consultant, as well as a reading, curriculum and pathway specialist. Though in the classroom full time, Estella remains active with several community organizations, including Robert F. Kennedy Human Rights and Speak Truth to Power, helping to train teachers in human rights and social justice education. Estella is Director of Curriculum and Community Partnerships for Media Done Responsibly, a Los Angeles based non-profit. She also works on behalf of the United Nations initiative #TeachSDGs, as well as Creative Visions Rock Your World. She believes in the arts as a transformative tool that can heal communities, build bridges on a global stage, and cultivate youth into global citizens. In an open cafe style, all participants will guide conversations based on women, the marches, social media, our students and gender equity. The current political climate for women is ablaze with possibility. What does that mean for us? This session will offer a venue to discuss current issues surrounding women, not exclusive to gender or feminism but inclusive for men to hear our concerns and address the current waves of awareness surrounding women. Given that the education profession is female predominate, how are educators processing the recent waves of gender driven dialogues? In a safe place, although not a therapy session, presenters will share how to provide safe classes for students to express their concerns and share resources available in schools. Are those conversations guided by women in the workplace? Are ALL aspects of feminine and gender preference included, for teachers and for our students? The session will share how contemporary artists are expressing through the visual arts, music, social media, and print. Bring an image, poster or story to share about a personal experience at a Women’s March 2017 or 2018 and create a pink hat or scarf for each participant, as evidence of traditional arts in peaceful resistance. Lisa and Catherine are Art Educators with a passion for expression in the visual arts. Catherine is an art educator from Rhode Island and is the RISTOY 2007, Lisa is an AP Art History and sculpture teacher from New Jersey NJCTOY 2015, both educators are National Board Certified Educators. Catherine Davis Hayes has been teaching visual art and design to students K-12 for over 20 years and currently teaches elementary visual art at Oakland Beach School in Warwick, RI. She is also the Coordinator of the Young Artist Program at the Rhode Island School of Design in Providence where she develops curriculum for art and design teen certificate programs and courses and camps for students K-12. Catherine holds National Board Certification in Early and Middle Childhood Art and is the 2007 RI State Teacher of the Year. Catherine has focused her professional teaching around creating arts-infused communities of learning where students can demonstrate knowledge and understanding of core content in and through the performing and visual arts. She serves as a mentor for staff in her school and has led professional development for teachers in several states including RI, MA, NH, and OH. When not in the classroom, Catherine is a muralist and woodcarver for the Oakland Beach Carousel Foundation. The OBCF is hand carving an original carousel for the beachfront in the city of Warwick, RI. In her free time, you can find her hiking, kayaking, or swimming, in and around Narragansett Bay. Educators who attend this session will examine the voids that may exist in their schools’ required literary canons. Session facilitators will engage participants in activities and discussion while also providing resources and practical solutions for creating more inclusive and richer literary experiences for students. Attendees will have an opportunity during the session to work with other educators applying the strategies that the presenters model. Monica Washington is an instructional coach for BetterLesson, a role she entered in 2017 after nearly 20 years in the classroom as an English teacher. A decorated educator, Monica has received honors and awards from a wide variety of organizations for her leadership, advocacy, and classroom instruction. In 2014, she was named Texas State Teacher of the Year. A proud NNSTOY member, Monica supports teachers through workshops, speaking engagements, and blogging for Education Week. She is currently a doctoral student researching ways that beginning teachers can be better supported in their schools. Afrika is a K-12 Instructional Coach with BetterLesson, and has been an educator for seventeen years, serving as a classroom teacher, teacher developer, and school administrator specializing in literacy and culturally responsive teaching practices. Afrika has a master’s degree in Elementary Teaching from Boston College’s Lynch School of Education, where she graduated first in her class. Afrika believes that all teachers can be dynamic educators and leaders when provided with the supports needed to create student-centered learning environments that inspire and nurture wonder and creativity. Suspension rates have dramatically increased, pushing students down the prison pipeline, greatly affecting students of color and students with disabilities. Research has proven that harsh disciplinary procedures around zero-tolerance policies are ineffective and increase the likelihood that suspended students disengage, drop-out, and/or enter the prison system. The Restorative Justice model shifts from a punitive system to one that is restorative. Positive Behavioral Intervention and Supports, or PBIS, is a positive and proactive measure to discipline. Session attendees will learn about fundamental changes to cut the school-to-prison pipeline and support equity and justice for all students. They will be encouraged and challenged to discuss national trends and systemic barriers to students of color while also constructing ways of engaging with this problem within their local context. Session attendees will practice crafting messages for advocacy around Restorative Justice models and the need for urgent attention to the school-to-prison pipeline. Brianna is a National Board Certified teacher who taught high school English in Hershey, PA for nine years and served as a peer coach for four of those years. As a 2014-15CTQ Teacherpreneur, she co-launched the #TeachingIs 2015 campaign and led various workshops using design thinking to catalyze teacher leaders work around the country. Brianna encourages dialogue and advocacy through leveraging social media and publishing articles, and leading live learning sessions. Brianna has also contributed two books:” How to Bring Technology Into Your Classroom” and “The Best Lesson Series: 15 Master Teachers Share What Works.” She currently works at a state-wide nonprofit supporting education and training for current school board members and the staff who support them. She facilitated the growth of teacher leaders through a professorship at Mt. Holyoke. Brianna embraces innovative approaches to learning and leading, and deeply believes in the promise of technology, the power of the written word, and the deep capacity of students and teachers to solve complex problems. Moving from "No" to "Go"
Equity within our culture can change by educating students/parents/and teachers. Through small group discussion we wish to create a vision and a process for schools that addresses major hurdles (master scheduling, funding, teacher workload, district approval, progress monitoring/data). Scott Schneider is Principal of Robert E. Lee High School. He received a Bachelors degree from the University of North Florida in Special Education and a Masters Degree from the University of North Florida in Education Leadership. Prior to becoming an administrator, Schneider served six years as a classroom teacher and as a district support specialist. His administrative experience began at Robert E. Lee High School. Under his administration, seniors have earned $8 million in scholarships, up from $2.2 million two years ago, and graduation rates have reached 87 percent. Born in New Orleans, La. Ms. Crowden has had a rich work experience, She holds a Bachelor in Science from Florida State University and a Masters of Art, Curriculum and Instructional Design, from Concordia University. She began her career as a corporate trainer, Funds Manager, and Instructional Developer for AT&T. Her educational career began with her as a 6th grade English and Reading teacher for two years, transitioning to a Science teacher for two years. She became the Small Learning Communities Specialist and designed the first Early High School program in Duval County. She currently serves as the Graduation Coach for Robert E. Lee High School as well as the Dean of Student Services for 12th grade.